Amenity and pasture land for sale with investment potential close to Swadlincote, Branston, Derby, A511 and the M42, M1 & M6 Motorways. Why buy land for sale in Burton-upon-Trent? The land benefits from well defined, natural boundaries throughout, consisting of mature hedgerows and trees. The site has good access from both Sales Lane and Hawfield Lane via securely gated and level entrance points. There is a small stream that borders the site to the north providing a natural water supply. Lot 2 contains a portion of woodland adding to its appeal and character. The land is located on the edge of Winshill; a parish in Burton-upon-Trent. Winshill has been transformed from a small settlement into a large village with important housing for workers in Burton. The site's edge of town location and excellent transport links, combined with several proposals for development on greenbelt land in the rapidly developing town of Burton, enhances its investment potential greatly. A secure gated entrance to Lot 1 is provided by a track off Sales Lane. The remaining lots are accessed from 4 separate gated entrances off Hawfield Lane. Burton-upon-Trent will be the location of the National Football Centre (NFC), due to be opened in 2010. This planned centre for football is to be run by the FA and is intended to be the training base for all England teams and act as the focal point for the FA’s coaching and player development work. The development is set to include 13 pitches, a media centre and accommodation for up to 300 people. This new centre will create many new jobs and is to be built on a 360-acre swathe of greenbelt land. There are also plans to build a 5,700 home eco town between Burton and Swadlincote on over 360 acres that will encroach on greenbelt land. Plans for this eco town have been submitted as part of the Government’s aim to create 10 carbon neutral towns nationwide. Developers claim the project will create 3,000 new jobs and consist of schools, a town centre with retail units and offices, community and learning resource centres, places of worship, a health clinic, parks and open spaces including allotments, and roads, footpaths and cycleways linking it to Swadlincote and Burton. 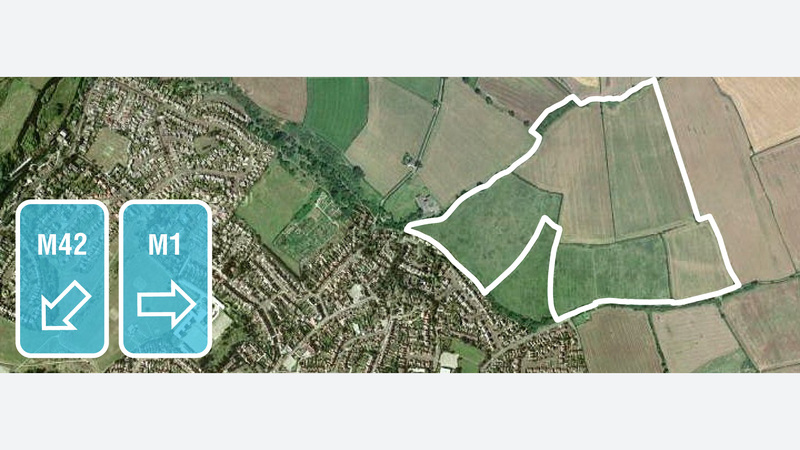 Furthermore, up to 850 homes could be built on 46 hectares of green field land between nearby Outwoods and Horninglow. A small centre with shops, nursery, medical centre, outdoor sports pitches, play area and school are also proposed. The region has to find a large number of houses over the next few years with its spatial strategy and it can’t just build on brownfield land. The possibility of Burton being required to build even more housing is a real one. The West Midlands Regional Assembly has already advised the Government that East Staffordshire has the capacity for around 13,000 new homes. However, the Government has ordered consultants to conduct a study as it feels that the numbers proposed by the assembly are too low. This could see an extra 5,000 homes being built in Burton over the next 20 years. The report hints it will be likely that virtually all of the extra homes will be built on greenbelt land close to Burton. 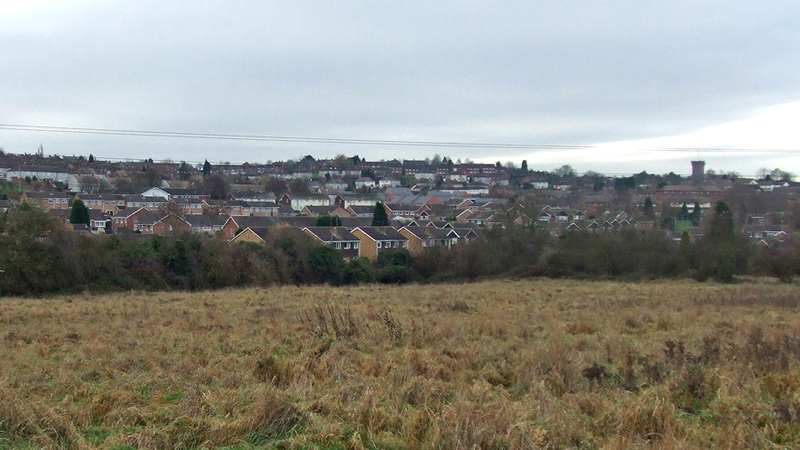 It has been suggested that South Derbyshire could absorb some of the impact of the housing boom in East Staffordshire. The site’s prime position on the county border enhances its investment and development potential greatly. Not looking for land for sale in Burton-upon-Trent? Burton-upon-Trent is a large and flourishing town pleasantly situated on the bank of the River Trent and home to a wide range of local amenities, schools and leisure facilities. The growing ares of Stapenhill and Branston have seen many housing developments in recent years and are within 3 miles of the site. Nearby Swadlincote has a moderately sized town centre, containing both national brands and small local businesses. Plans are now afoot for the development of a new retail complex in the area. Derby, just over 9 miles away, shares the best of both worlds; a vibrant, contemporary yet traditional city scene, complimented by the glorious countryside of Derbyshire. It has a widerange of leisure and retail experiences. The major towns and cities of Loughborough, Nottingham and Leicester are within an hour by road or rail. The site is geographically well placed to a major road network in all directions. It lies close to the A511, which runs from the M1 in Leicestershire to join the A50 between Uttoxeter and Derby. The nearby A38 is a trunk road running from Cornwall to Nottinghamshire, passing through Bristol, Birmingham and Derby. The A444 links the site with Coventry, A5 and the M42. The M42 runs from Bromsgrove to Leicestershire before merging to the dual carriageway of the A42 which continues to the M1 - a major north – south motorway primarily connecting London to Leeds as well as a network of other motorways. Nearby Burton-on-Trent Train Station offers direct services to Derby in just 13 minutes, from which there are direct trains to Leicester and London St Pancras, new home of the Eurostar. To arrange a site visit or to buy the land for sale in Burton-upon-Trent; please call 01727 701330 or email enquiries@vantageland.co.uk.